Being involved in a car accident is the most common cause of whiplash. Whiplash is the result of a sudden snap of the neck or hyperextension and hyperflexion injury to the cervical spine. The speed of the impact or collision involved in the car accident does not correlate with the amount of injury that has occurred. Whiplash or neck injury can occur in an impact at only 10 MPH. Whiplash injuries can be very complex and often result in damage to either the vertebrae, nerves, ligaments, muscles, discs, or joints of the cervical spine. This damage can result in a disc bulge or herniation, TMJ (temporomandibular joint) symptoms of the jaw, torn fibers, nerve irritation, and other soft tissue damage. Often loss of cervical lordosis or normal curvature of the cervical spine occurs due to the hyperextension and hyperflexion of your neck during the car wreck. A whiplash injury will often involve at least one of the following symptoms: neck pain, headaches, shoulder pain, back pain, numbness or tingling in either arm, general soreness, stiffness, lack of concentration, fatigue, depression, dizziness, irritability, sleeping difficulty, blurred vision, ringing in the ears, muscle spasms, jaw tightness, anxiety, or hand pain. Some people develop a symptom within the first few days of their car accident, while others develop symptoms weeks or months after their car wreck. These symptoms can last for a long time, even months or years after your car accident and lead to a prolonged period of partial disability if left untreated. That is why it is so important for you to see a doctor whose primary focus is treating individuals with whiplash injuries. At Total Body Chiropractic, we specifically focus on treating car accident patients and whiplash injuries due to a car accident, truck accident, or other type of motor vehicle accident. Chiropractic care is extremely effective in treating whiplash injuries. Total Body Chiropractic will effectively treat and alleviate the symptoms of whiplash by providing a protocol of medical care that includes gentle chiropractic adjustments to properly align the cervical vertebrae. We also provide electrical stimulation therapy, cervical traction, and rehabilitation range of motion and strengthening exercises. Short term treatment may be all that is needed to stimulate prompt recovery and avoid complications in the future. Whiplash is a unique condition that requires the expertise of a skilled health care professional that specifically treats these type of injuries. Since our office specifically focuses on whiplash and other car accident related injuries, it is extremely important to visit our office as soon as possible for a comprehensive examination. Let us help you recover from whiplash or any other injuries you have sustained in your motor vehicle accident. 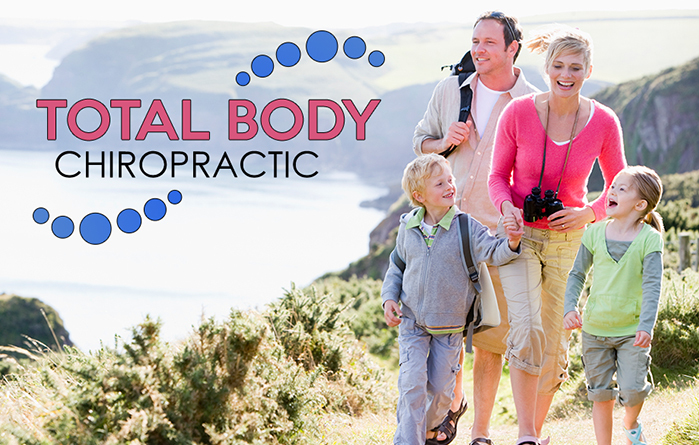 Please contact Total Body Chiropractic today at (615) 223-1175 to schedule an appointment.